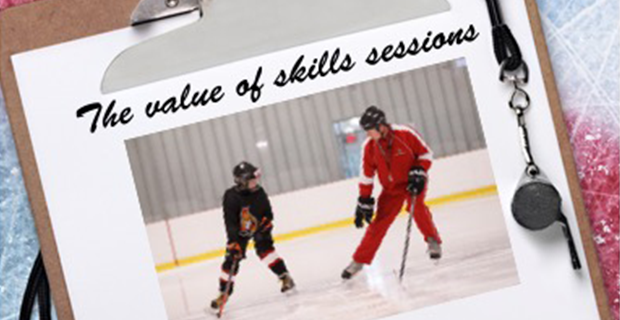 Here’s the newest rage among hockey associations: skill development people. Do you coach in an area where the organization has hired someone or a group to conduct additional skills sessions for players? If so, this could be a great addition to your season curriculum. It could also be a bit prickly. I’ll set aside for now the looming accreditation from Hockey Canada for skills teaching. It’s only in its infancy and may be a few years before we can truly determine its value. In the meantime, let’s examine what is becoming pervasive. Associations, with the best of intentions, want to improve their players’ skills. Probably realizing that many of their coaches haven’t got the experience, expertise or time to do a lot of it, they hire people to run evening or weekend skills sessions with kids. These are meant to augment what coaches do with their teams. The cost is borne by the players through increased fees. Who are the instructors? It can be quite a wide range of backgrounds. If you look at the websites for these private groups, you’ll see a great deal of played here, drafted there, cup of coffee in this pro league, a bit of coaching somewhere, and sometimes a smattering of teaching experience. The proof though is what these people bring on the ice. While it’s most certainly true that playing backgrounds don’t in any way guarantee quality instruction, you generally don’t know till your kids have been in it. This is such a stark contrast to what top European hockey countries do like Finland, Sweden, etc. There, the people who teach skills may have playing backgrounds but are highly trained specialists in physical education or related disciplines with extensive coach training by the governing bodies. Plus, their club system ensures the instruction is consistent from the youngest ages to junior. The good news is that if your association has a private group running these sessions, your coaching just got a little bit easier. These folks are meant to provide the foundational skills upon which you build multi-task instruction. They’ll teach the edge control and complex skating manoeuvres while you’re to apply them to drills, individual tactics and so on. It should be a winning approach for you and your players. This is especially true if demonstrating or breaking down certain skills are out of your comfort zone. The hired guns usually have terrific skills themselves; their demos are darn good. But what about their actual teaching skills? The ability to break something down into manageable parts kids can follow? The nature of the feedback? The number of reps a child gets to try the skill? In next week’s blog, I’ll look at how these skill sessions help the coach and what the coach should do to follow up. As well, I’ll take a peek at the prickly part, when things don’t quite click.